First you'll have to make a list of all the topics that are of interest to you, or have expert knowledge of. There's no point in planning on a book that you are not going to be able to write about, as you'll simply lose interest and not be able to focus on getting the project complete. Now don't go thinking you'll make a load of money from fiction books. Yes the author's of fifty shades of grey and Harry Potter may have made millions from it, but much harder for the small fry startup to achieve. So from your list of interests, pick out the one you love the most, and if it's something you do regularly in your job, etc, then even better. Now before you can begin writing, you'll need to do loads of reading up and revision on the subject, so over to Google or get down to the local library and get stuck in. This gets the brain loaded up with all the ammunition you'll need to conquer the task of writing the book. Even if you're outsourcing the writing part, you still need some background knowledge of the subject so the instructions you give your ghostwriter must be clear cut and thinks must be accurate if your book is to become a big hit. So when reading up on the subject and getting ideas for your book, jot down loads of notes as you go along. And brainstorm your own ideas and ways you can make it as original as possible, as if you don't your cover will be blown and people will know it's just a re-hash of someone elses work. Next step is to decide on chapter names. Then look over your notes and estimate how many pages you are going to have in the book. I would aim for a minimum of five to ten pages per chapter. So in your favourite word processor, start out with your list of chapter names all in order, with bold typeface. Then you can get stuck into the writing part. And if you have a passion for the subject that won't be much of a problem, unless you're not a fast typer. In that case you should hire someone from a freelance site, just do a Google search for 'freelance ghostwriters' or 'content' or 'article' writers. You'll find some quite talented people for great price too. Then once your chapter text has been written up, time to do the Contents table. Most word processors these days have an automated feature that will generate the list. However for ebooks, it's a good idea to link each item in the contents list with the corresponding Chapter title. This is fairly easy to do, you just use the same method as for linking to a web page, but instead link to an 'anchor' or 'section' marker point within the document. Finally, you'll want to proof read your new masterpiece. Look out for typos, bad grammar, and of course double check any facts you've used. It would also be a good idea to have someone else read it before publishing, and get a bit of feedback too. So at this stage you have all the text ready and checked. The cover is next, and most importantly, the book title. If your graphic design skills are good, go ahead and design your own front cover. For an ebook you can get one done quite cheaply on a freelancers hiring site. The main thing here is the title - it must read like a headline of a sales letter and attract the perosn into buying your book. Then onto ebook formats. When they first came about, many software programs popped up that would generate an executable file as the ebook. However some devious people were implanting malicious code into them, and virus scan software would then detect the ebook as a bad file, resulting in people not opening the ebook at all. So the format I suggest for your final ebook is the cross platform PDF file format. It works on Apple Macs, iPads as well as Windows systems. You can even set opening and editing passwords to protect from fraudulent copying of your ebook. Now for the big question. How do you set this up for ongoing royalty payments? Well, as most will know it is very hard to get your book into stores like Easons or Barnes & Noble and the like. Well the answer is Amazon. They will even print it and market it on their site for you, although they do take a fair percentage, but you don't have to lift a finger once you get up and running. Thenk the Kindle publishing platform is even better again. You simply upload your ebook file, write a description, set your price and that's it. But you'll get paid less per sale, although chances are more units will sell than the hard copy versions. Enjoy this article? Want more detail on each step discussed here then get over to this page on the fiverr site. You'll find out ten more ways you can profit from self publishing books, plus lots of tips for marketing your masterpiece. Click Here for Books Blueprint. 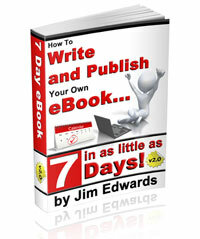 Get your copy of How to Write Your Own Ebook in 7 Days and get started today! 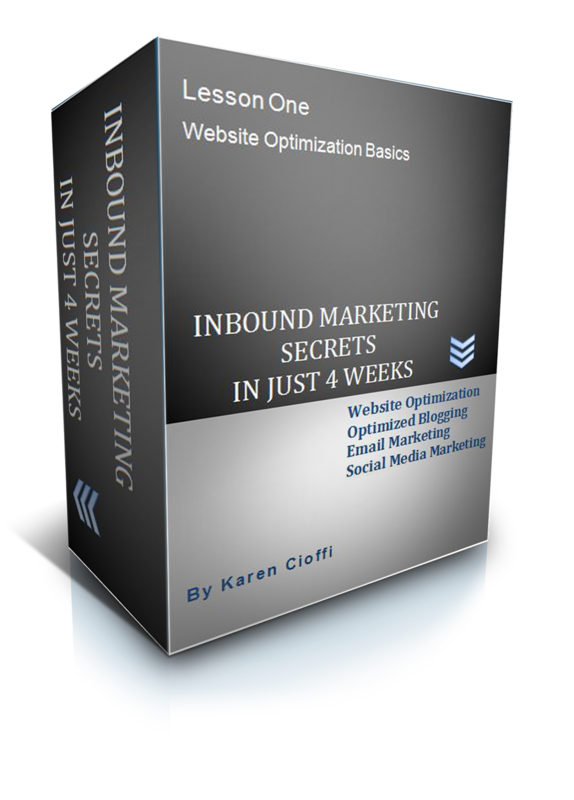 The idea of creating a website may seem overwhelming to many who are new to marketing. This may lead to a hesitation in regard to taking the website step. But, don’t let fear or procrastination get in the way of your online presence. A website is a necessary online marketing element that is at the foundation of your platform. According to PCMag.com, there were 694,445 Google search queries made and 1,500 blog posts published each minute back in 2012. More recent statistics show that there are now 40,000 Google search queries every second. That's 2,400,000 per minute! If you want to create visibility for you, your service, product or book, a website is the initial spark that will ignite your internet presence. And, it will be the hub or central location where you will let people know who you are and what you have to offer. To further cement the need for a website, it’s through your website that you will attract readers, get email subscribers, and sell what your offering. It’s easy to see that a website is absolutely necessary, and it’s not as difficult as you may think to create one. The first step is planning. A website is an absolute necessity, but it also needs to be effective. It needs to be planned out. Infographic What Happens Online in 60 Seconds? I've been offline for two weeks, but had a couple of posts preposted - thank goodness. I was in the path of Hurricane Sandy. My basement, which was my daughter's apartment, was flooded. She lost just about everything. But, there are those who lost their houses and cars. And, some lost their lives. So, my family was fortunate. We were without electric for 11 days and just got it back Friday night. We're still without heat, but I think we may be getting a boiler today. My prayers go out to all those effected by Sandy, and especially to those who lost their homes, cars, and family members. I've been asked about where to send things like blankets and clothing to those who lost everything, but I'm not sure where to send them. The Red Cross may be helpful. Some area churches are accepting donations. And, Walmart sent a shipment of donations to St. John's College today. Hope to be back to a regular posting schedule in a week or two. Commenting on blogs is still an effective marketing strategy, maybe even more so than before. A Question From a Subscriber: I comment on some blog sites, but it doesn’t seem to make a difference. Should I continue anyway? I recently left a comment on a makealivingwriting.com post. When I comment on a site, time allowing, I usually browse the other comments. One in particular seemed to be informative, so I clicked on the author’s latest post link. I happened upon a useful site and actually tried to subscribe to the email post feed. Unfortunately, it seems the feed wasn’t enabled, although the site owner had the opt-in for it. But, that’s another story. On sites that provide the commenter’s last post link, this is an excellent way to broaden your reach and easily bring visitors back to your site. Just like I clicked on that commenter’s link, based on an effective post title, the same can happen to you. The source for this linkable feature is CommentLuv. Hopefully, Blogger will add CommentLuv to it's gadgets to make this process much easier. Another benefit of this content marketing strategy is the site owner becomes aware of who you are - this is always a good thing. In addition to the obvious benefits of commenting, the activity you create online is picked up by search engines. This includes comments. You’re an author. 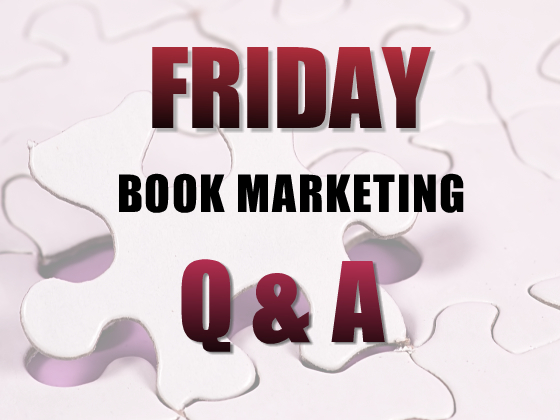 You have a book published or self-published, or you’re in the process of writing a book or ebook. If this is the case, you no doubt have a website set up. If not, you’ll need to get one up as soon as possible. With a website in place, you’ll want to promote what you have to offer by bringing traffic to the site. You can do this through article marketing. But, what do you do with the visitors who come to your site? Will a one-time visitor buy what you’re offering? First time visitors most likely will not buy what you’re offering, so you need to grab that visitor to be sure she returns and so you can develop a relationship with her. To grab a visitor, you need to get that visitor’s email address, with permission of course. 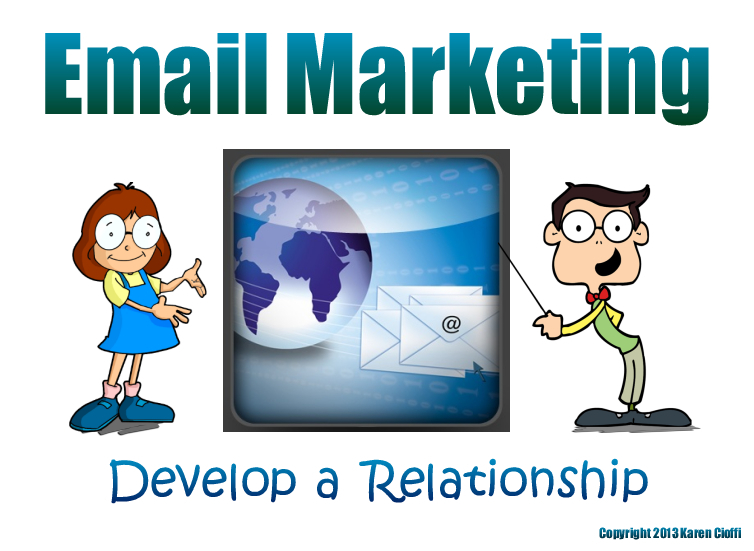 Having the email address allows you to send weekly (or more often) newsletters or information emails. To get an email address onto your subscriber list, you will need a subscriber opt-in box. Well, let me backtrack a moment. First, you need to have an email service, such as iContact or Aweber. The email service you choose will have the tools for you to create a subscriber list and opt-in box. Okay, so now you have a website and you have the code to an opt-in box that will go on your site. You’re right on track. Now the question is: Where do you put the opt in box? 1. Research shows that opt-ins must be readily visible upon landing on the page and should be located on the upper right-hand side of the page. 2. Some studies also show that an orange colored opt-in box coverts better than other colors. I’m not sure about that though. But, you can easily test it out by changing the color of your opt in. If you’re not afraid to tweak the HTML code to your opt-in, go into it and change the code for the background color. 3. Let the visitor know his email address is secure. Make sure you have wording, either below your opt-in box or adjacent to it, that assures the visitor his email address is safe and secure. 4. Along with having your opt-in on your website, for higher conversion you should create a separate opt-in landing page. There you have it: Four simple tips to create a more effective email address list opt-in box. It's 4-week interactive, in-depth, and priced right. Question: What tips do you have for writers experiencing fear, or lack of focus when it is time to market their books. There are many writers who feel marketing is just too overwhelming. My advice is to first learn about marketing, learn the basics. Then take it one step at a time. Don’t look at the ‘whole’ thing; look at step one, step two . . . In regard to focus, you need to have a marketing plan. Create two or three major writing goals. Then break each goal down as to how you’ll reach it. Try to focus on one strategy at a time. Once you’re comfortable and effective with one strategy move on to another. It’s also a good idea to spend a bit of time on the weekend to plan your action steps for the week. Having a plan and action steps helps keep you focused.